Last week I had the pleasure of teaching a class for Loblaws as part of their Chef at Home series. The class was such a great experience! Interactive, fun and a great way to learn about meals made for entertaining that are not intimidating. 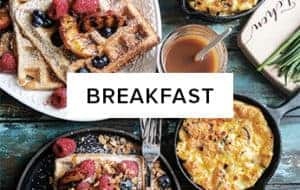 With Fall holidays fast approaching and tons of entertaining for friends and family happening in a few weeks, I created a menu that was simple, delicious and with a bit of prep done in advance. Let's be honest, who wants to spend hours in the kitchen when you could make a great meal in under 30 minutes AND spend time with your friends? Last week I had the pleasure of teaching a class for Loblaws as part of their Chef at Home series. The class was such a great experience! Interactive, fun and a great way to learn about meals made for entertaining that are not intimidating. 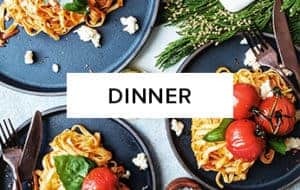 With Fall holidays fast approaching and tons of entertaining for friends and family happening in a few weeks, I created a menu that was simple, delicious and with a bit of prep done in advance. Let’s be honest, who wants to spend hours in the kitchen when you could make a great meal in under 30 minutes AND spend time with your friends? Entertaining should be fun and in no way stressful. It’s always been my food philosophy to create meals that take little time to put together. 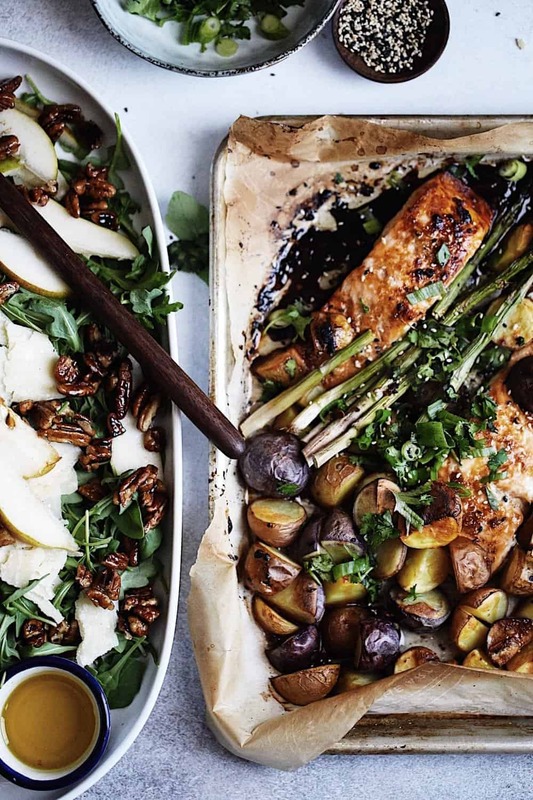 Meals that are healthy and when possible are packed with seasonal ingredients. 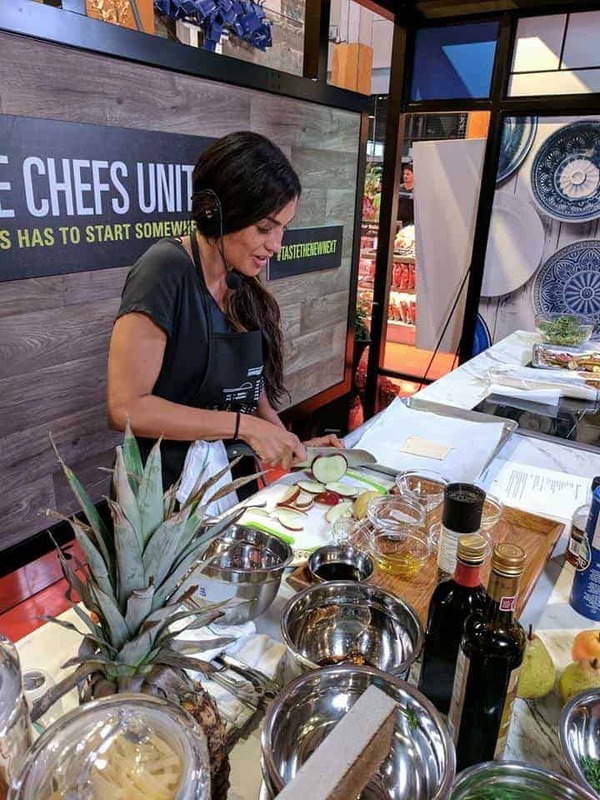 The recipes I made for the Loblaws Chef at Home series were inspired by my travels and by the produce from the Niagara region. The first dish I prepped for the class was a peppery arugula salad, with pecans, parmiggiano, sweet Barlett pears, all tossed in olive oil and a hint of balsamic vinegar. You could use pine nuts instead of pecans, or walnuts. Not only is this one of my favourite salad to make when friends come over, but you can make play with what you have on hand. No pears at home? plums are amazing on this salad too. The main course was a roasted salmon with new potatoes and asparagus in a maple, ginger and soy marinade. This dish will become part of your go to recipes, it’s for sure one of mine and I’ll tell you why. 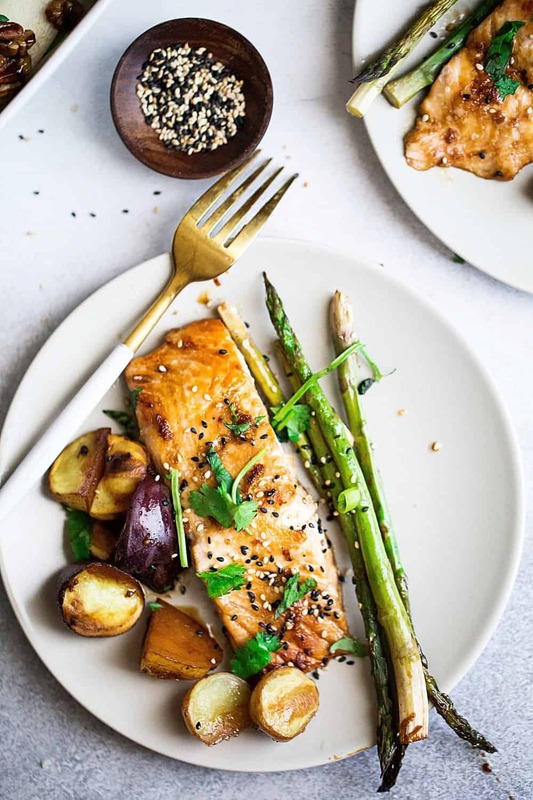 The soy & maple marinade (with tons of garlic too) not only goes well with the salmon but it’s amazing on the potatoes as well. There’s something about this sweet and savoury marinade that gives so many layers of flavours to this dish. 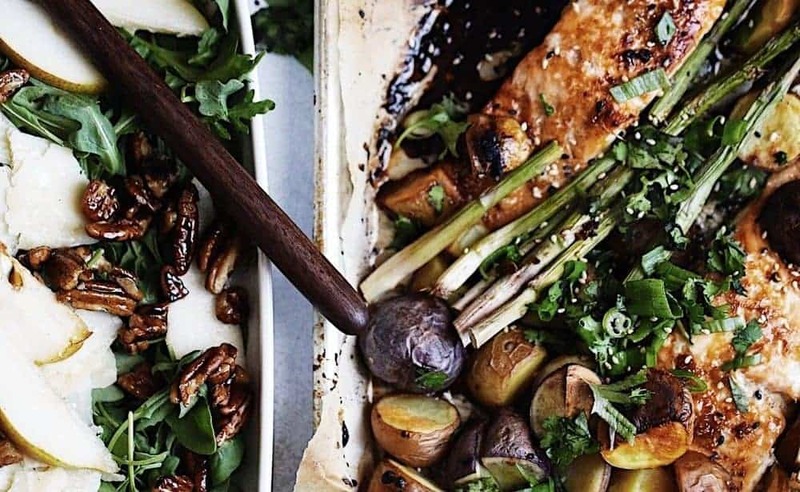 Also, one pan dinners are time savers and I’m all in for that! While you roast it in the oven, you can work on the salad, and by the time the fish is done, your salad is ready. 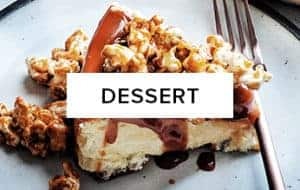 If you are feeling like a quick dessert to end this meal, I’ll make sure to have you set with that as well at the end of this post. I also find it helpful to keep a well stocked pantry and fridge, filled with essentials. 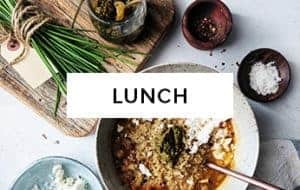 At home I try to always have fish (salmon or trout) olive oil, good quality parmigiano, fresh vegetables and grains such as quinoa and farro. 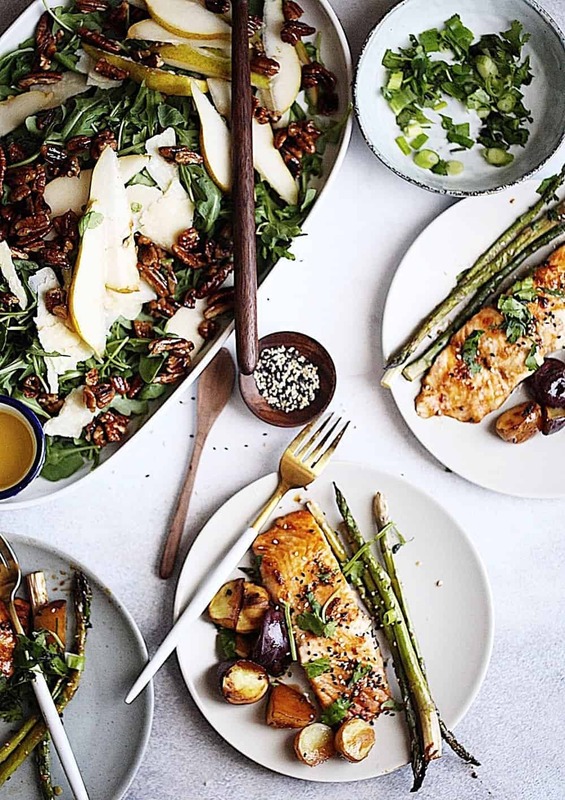 Ingredients that you can use to prep a wholesome meal in little time. Holidays are about celebrating the people in your life, enjoying their company, laughing out loud and having great food too. I hope these dishes find their way into your next celebration and that you love them as much as I do! Chopped Green onions, chopped cilantro. 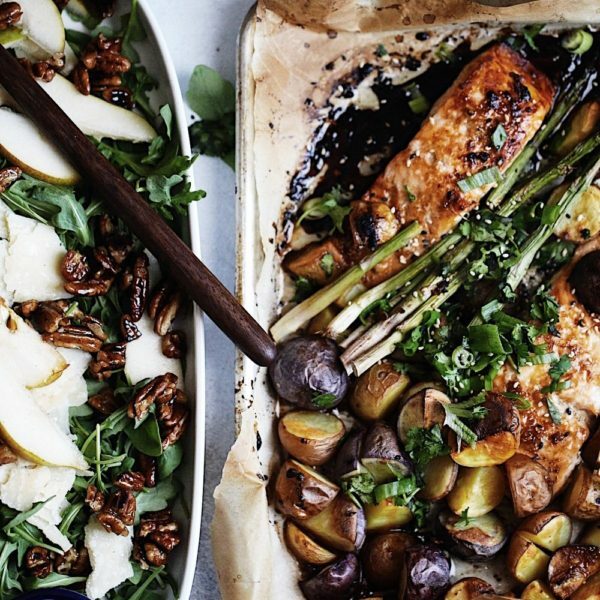 Place the salmon on the baking sheet along with the new potatoes, and drizzle 1/2 cup of the marinade over the salmon and potatoes. Roast for 20 minutes before adding the asparagus to the pan . Cook for a total of 35 minutes, moving the setting to broil for the last 2 minutes. Top with cilantro, green onions and sesame seeds before serving. 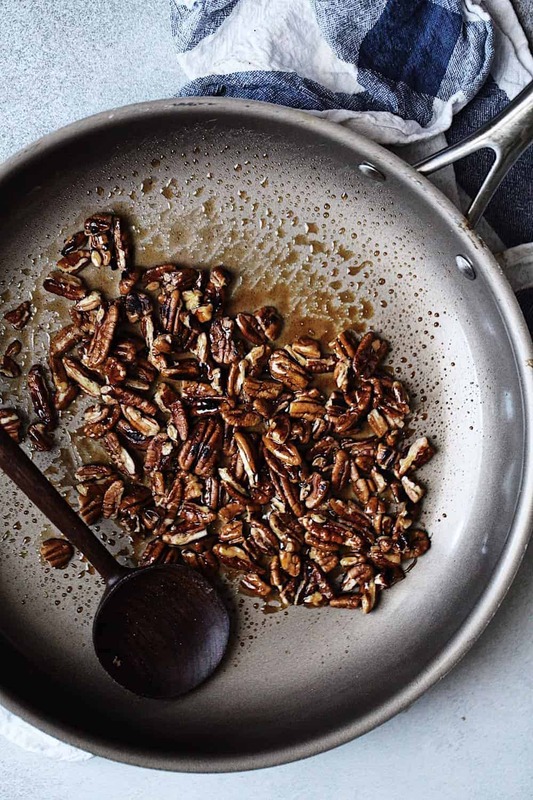 Place pecans in a frying pan and toast on medium heat for about 2 minutes. Add the maple syrup, stir and cook for 30 seconds, until the pecans are fully covered with syrup. Place pecans on a piece of parchment paper, and let cool. 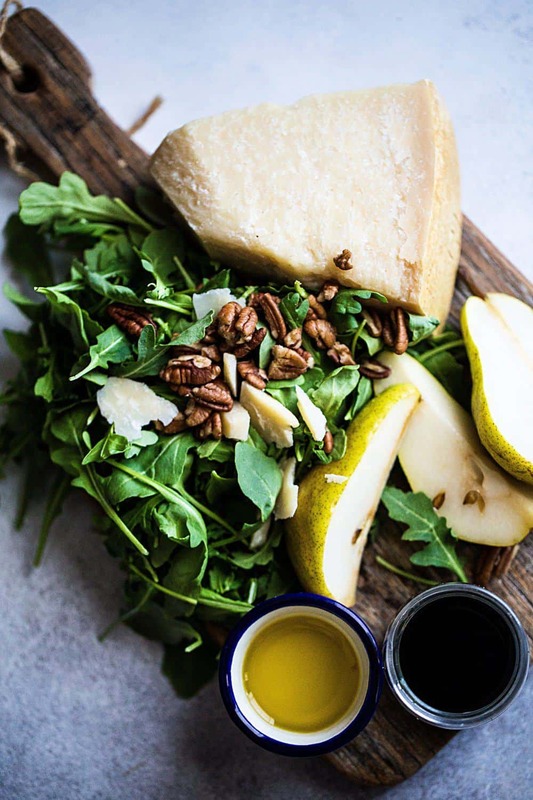 In a medium bowl, toss the arugula, Parmigiano, pears, pecans, adding the olive oil and balsamic vinegar just before serving. If you want to end this meal, with a quick dessert that you could prep while the salmon and potatoes are cooking, apple tarts with vanilla ice cream and toasted almonds to the rescue! Puff pastry is a time saver when it comes to desserts and to make things easier, most come already rolled in single sheets. Divide a puff pastry sheet into 4 squares, top with thinly sliced apples ( 5 or 6 slices per tart). Add 1/2 tsp of turbinado sugar on top of the apples and bake in the oven for 15 minutes at 400 F. Serve with vanilla or salted caramel ice cream, and toasted slivered almonds. This post was made in collaboration with Loblaws, however all views, opinions and recipe development are my own. The salad is so simple, yet has so many levels of flavour! Also, one pan meals are my fave!